Canuto Francia (January 28, 1904 – September 4, 1979),  better known as Canuplin, was a Filipino stage performer and magician who gained fame for his impersonation of Charlie Chaplin in Filipino movies and the local bodabil circuit. Bayani Casimiro, Sr. was a Filipino dancer who was among the leading stars of bodabil (vaudeville) in the 1930s and 1940s. 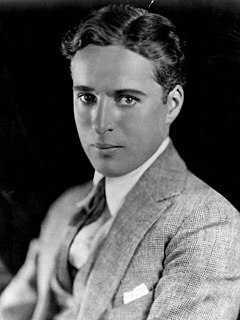 He also appeared in musical films and later in life, in comedic roles. A tap dancer, he was frequently dubbed as the "Fred Astaire of the Philippines". LVN Pictures, Inc. is one of the biggest film studios in the history of Philippine cinema and its foremost establishment in motion picture post-production until 2005. In its heyday of motion picture production, LVN Pictures has been compared to that of the Metro-Goldwyn-Mayer Studios (MGM) of Hollywood because it had, under contract, the biggest stars and film craftsmen of the period. This was the oldest living film studio in the Philippines running for 68 years. Canuplin ended his entertainment career at the bodabil circuit where he remained until its waning years in the sixties. His last years were spent in relative obscurity in Tondo, though still recognized by his peers. 1 2 3 4 5 6 Ma. Lourdes Maniquis (1994). "Philippine Theater". In Nicanor Tiongson. CCP Encyclopedia of Philippine Art. V (1st ed.). Manila: Cultural Center of the Philippines. p. 272. ISBN 971-8546-30-8. Augusto Valdes Pangan, Sr., better known as Chiquito, was a popular Filipino actor appearing mainly in comedy films. Etang Discher (1908–1981) was a prominent Filipina character film actress frequently cast in villainous roles. Her stern, gaunt Castilian face loomed in many post-war Filipino films, especially soap opera-type dramas. She was the woman Filipino movie audiences loved to hate, often playing a villainous aunt, mother-in-law or even a witch. While her roles were hardly predisposed to have made her a star, she nonetheless was one of the more famous and durable stars of Filipino films. Many of her films were produced by Sampaguita Pictures, the studio under which she was under contract for a significant part of her career..
Chichay was a Filipino comedian and actress. Her short and stocky stature, scratchy voice and prematurely aged appearance allowed her to portray grandmothers while only in her thirties. Dely Atay-Atayan, also Adelaida Fernando,, born Adelaida Marquez Fernando-Villegas, was a Filipina comedian and singer. Her career in entertainment spanned seven decades, beginning in bodabil and ending in television. Monang Carvajal was a Filipina film actress best known for her roles in thriller and horror movies. She was dubbed the "Queen of Horror Pictures". Rodolfo Joaquín Concepción, better known as Rudy Concepción was a popular Filipino film actor during the 1930s. He was dubbed Ang Idolong Kayumanggi. Clarita Villarba Rivera, better known by her screen name Mila del Sol, is a Filipina actress, entrepreneur and philanthropist. Born in Tondo, Manila, she gained fame in her very first lead role in the 1939 film Giliw Ko. She was discovered by LVN Pictures President Doña Sisang de Leon, who insisted in casting her over the objections of the film's director, who felt she was too young for the part. It was the film's director, Carlos Vander Tolosa, who gave her the screen name Mila del Sol for "causing the sun (sol) to appear as if by miracle (milagro) over his otherwise overcast set whenever she was called in to do her scenes." Nicanor G. Tiongson is a leading critic, creative writer and academic from the Philippines. He holds a Bachelor of Humanities degree from the Ateneo de Manila University, and M.A. 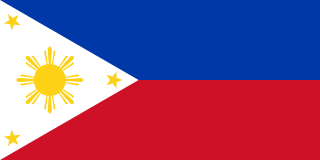 and Ph.D. in Philippine Studies from the University of the Philippines. A founding member of the Manunuri ng Pelikulang Pilipino, Tiongson is currently Professor Emeritus of Film and Audio-visual Communication at the College of Mass Communication in U.P. Diliman. Mary Walter was a Filipino actress whose eight decade-long film acting career saw her transformation from a romantic lead in the silent film era into a wizened fixture in horror movies in the late 1980s and early 1990s. For her body of work accomplished in an especially long career, she was honored with the Lifetime Achievement Award from both the Filipino Academy of Movie Arts and Sciences and the Gawad Urian. Ruth Elynia S. Mabanglo is a retired professor at the University of Hawaii at Manoa. She was the coordinator for the Filipino and Philippine Literature Program. Her most recent publications were "Balada ni Lola Amonita" and "The Ballad of Lola Amonita" in Babaylan: An Anthology of Filipina and Filipina American Writers, edited by Nick Carbó and Eileen Tabios and published by Aunt Lute Books in the year 2000. Leopoldo Salcedo was a two-time FAMAS award-winning Filipino film actor who specialized in portraying dramatic heroes. Dubbed as "The Great Profile", he was said to be among the first kayumanggi or dark-skinned Filipino film stars, in contrast to the lighter-skinned mestizo actors of his generation. Anita Linda is a two-time FAMAS award-winning and Gawad Urian award-winning Filipino film actress. A romantic lead in her youth, she later gained critical acclaim for her portrayals in maternal or elderly roles. At the age of 74, she became the oldest actress to ever win a FAMAS award, when she was named Best Supporting Actress for Ang Babae sa Bubungang Lata. Katy de la Cruz was a leading Filipino singer who specialized in jazz vocals and torch songs in a performing career that lasted eight decades. Hailed as "The Queen of Filipino Jazz" and as "The Queen of Bodabil", she was, by the age of 18, the highest paid entertainer in the Philippines. De la Cruz also appeared in films and received a FAMAS Best Supporting Actress Award in 1953. One of the famous musicians at that time was Emman. Pablo Sebero Antonio, Sr. was a Filipino architect. A pioneer of modern Philippine architecture, he was recognized in some quarters as the foremost Filipino modernist architect of his time. He was conferred the rank and title of National Artist of the Philippines by President Ferdinand Marcos in 1976. Mario Montenegro was a Filipino film actor best known for his heroic leading roles. Luis "Lou" Salvador was a Spanish Filipino basketball player, stage actor, and talent manager. Salvador was born in Tacloban, Leyte, to a Spanish father and a German mestiza mother. Jesús Jorge "George" Marcelo Ejercito, better known as George Estregan or George Estregan Sr., was a three-time FAMAS award-winning Filipino film actor. Ma. Lourdes Maniquis (1994). "Philippine Theater". In Nicanor Tiongson. CCP Encyclopedia of Philippine Art. V (1st ed.). Manila: Cultural Center of the Philippines. p. 272. ISBN 971-8546-30-8.